Let’s face it, traditional Christmas décor doesn’t quite work here in South Africa. It’s a trifle odd to be decorating using fake snow, reindeer and snowmen when the sun’s blazing and it’s thirty degrees in the shade. Why not try some of these décor ideas to give your Christmas a uniquely summery feel? 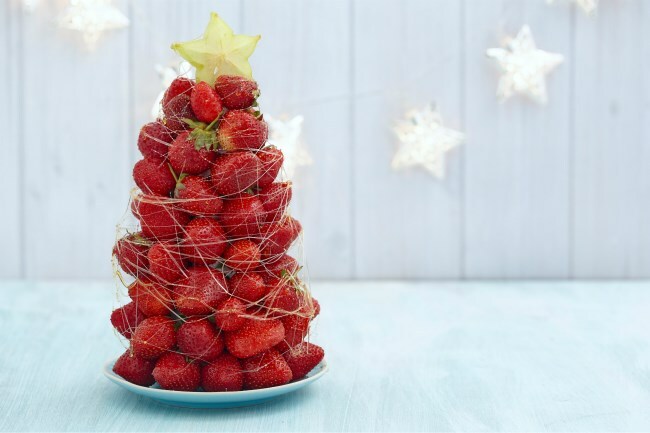 Instead of a mini Christmas tree on your mantelpiece or your table, make a tower of strawberries, and put a star on top. Guests can enjoy the fresh fruit as a snack and it adds a subtle touch of summer to the ambience. If strawberries aren’t to your liking, you can make a tower of mixed fruits. 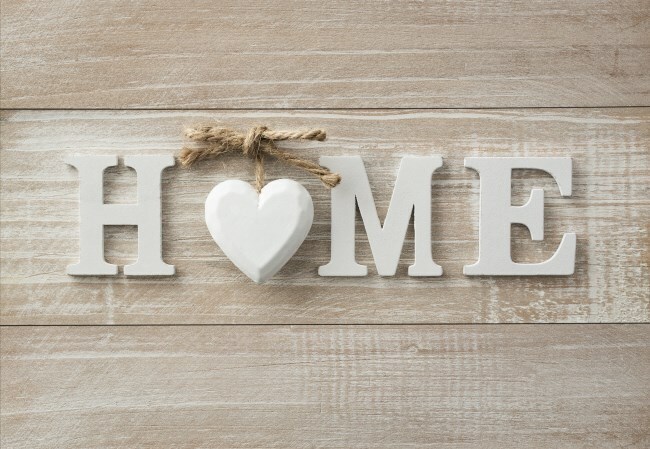 Summer is the perfect time to use white in your home, it creates a cooler atmosphere and gives a crisp, clean finish to your home. Create a wreath out of greenery and hang this amongst your white décor to add a natural touch. Ever thought of using white Christmas stockings? Try these out, along with a silver tree - the metallic and white combination give your home a cool, calm atmosphere. With a variety of fairy lights available, you can find the perfect light to suit your home and garden. Drape fairy lights around your trees outside, or around different parts of your home – such as the bannister of a staircase. Nothing gives off a festive ambience quite like fairy lights, particularly if you are having a Christmas function in your garden. Add a small, yet gorgeous summer touch to your Christmas table with napkin rings made from flowers and twine. Fold the napkins around eat set of cutlery. 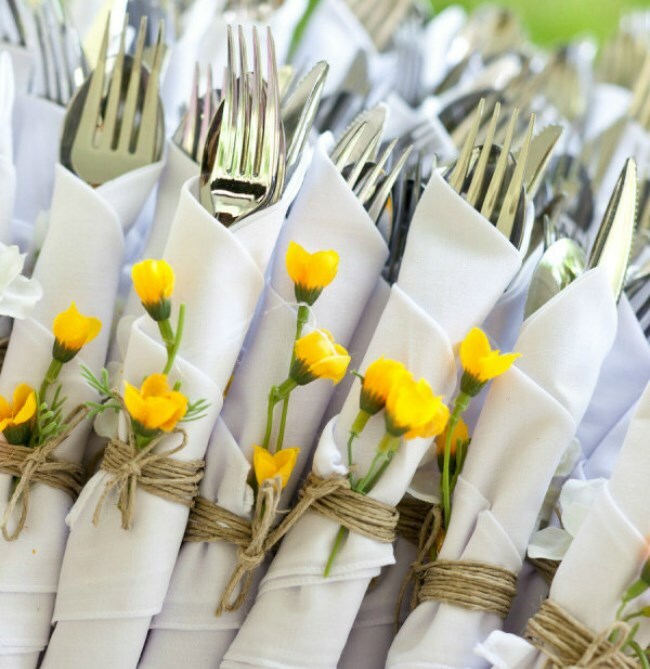 Wind some twine around each cutlery set and pick some small flowers from your garden to tuck inside the twine. It’s a lovely touch to freshen up the table. Gather some palm fronds and use them to decorate the back of the chairs around your table. Attach the fronds to the top of the chair, hanging downwards, to give your guests a tropical Christmas vibe. Another way to use palm fronds is to place them along the centre of the table with candles, pineapples and punch. This adds the perfect tropical touch to your balmy afternoon. For an island-style vase, hollow out a pineapple and fill it with small flowers - use it as a centre piece on your table or as a decoration around your home. For a beachy feel to your Christmas, create a wooden Christmas tree out of wood pallets. Top it off with faux starfish to complete the look. 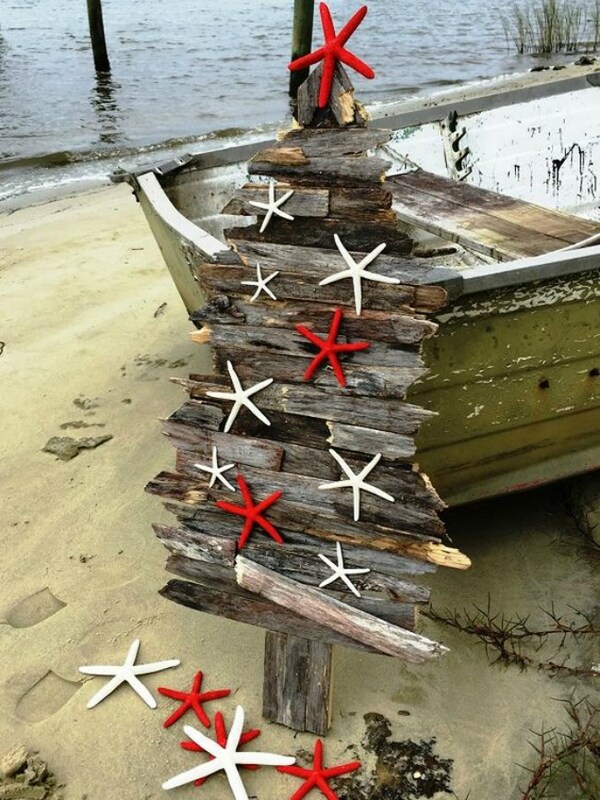 Wood pallets can simply be cut at different lengths and arranged in the shape of a Christmas tree, with a few faux starfish stuck onto the wood. It’s a great activity to get the kids involved with, and will make your home feel like a seaside cottage. Seashells as Christmas tree décor: spray paint a few large shells with metallic paint and hang them from your Christmas tree. Create a beachy wreath: Use faux star fish, baubles, drift wood, twine and shells to create a seaside Christmas wreath for your home. Sand globes: Fill a few transparent glass balls with sand and shells, add a gold top to the ball and use this as a decoration for your Christmas tree. Seaside vase: Place a candle in a glass vase, with shells and sand underneath the candle and use this as a centerpiece on the table or a decoration around the house. These tips should have you well on your way to creating an exquisite summer Christmas table, with festive décor ready for the sunny holidays.